Please see the movie before the group meets. When: Thursday, May 2, 3 - 5 p.m. 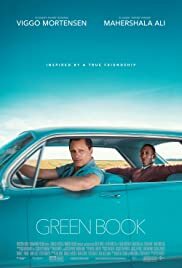 Discussion of GREEN BOOK, winner of 2018 Academy Award. We will meet once a month and select a Movie or Documentary to discuss. Members will see the selection at their own convenience and then share impressions and questions.